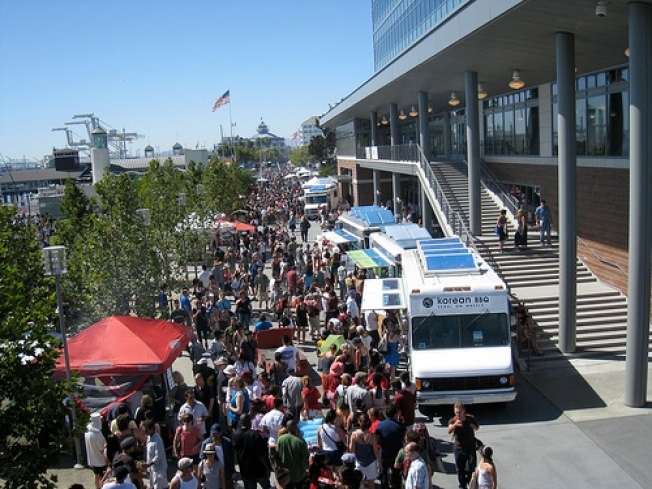 Crowds gather at the Eat Real Festival last year in Oakland's Jack London Square. 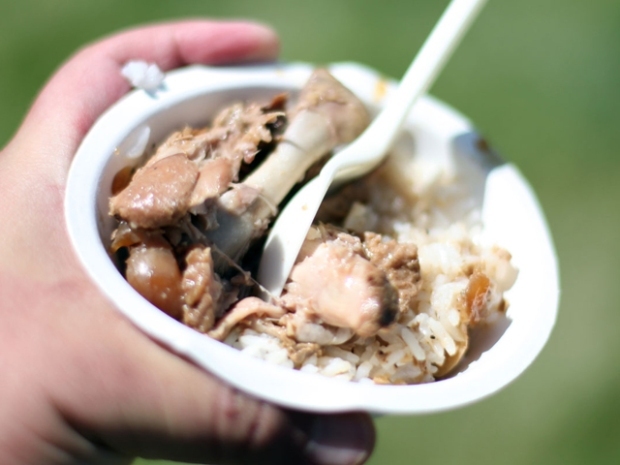 Oakland is kicking off a three-day food festival Friday afternoon that hopes to encourage participants to engage with their food, event organizers said. The third annual Eat Real Festival kicks off at 1 p.m. with the "Get Lit" event and continues until Sunday. The festival, which organizers described as a mixture of a state fair, street food festival and block party, is set to celebrate and showcase good food at Oakland's Jack London Square. Friday afternoon's festivities include the official lighting of wood-fire ovens, tapping of beer kegs and opening of the festival's bar to get the weekend food celebration started. With nonstop food action, participants will be getting up close and personal with Bay Area food. The festival will include do-it-yourself demos, butchery contests, backyard farming installations and opportunities to learn where food comes from, who produces it and how it can be cooked and made, organizers said. The festival is free to attend. Food from carts and other food options will each cost about $5. All vendors will be using regionally sourced and sustainable ingredients, according to organizers. Jack London Square is located at 55 Harrison St. in Oakland. Friday the festival runs until 8 p.m. On Saturday, the festivities begin at 11 a.m. and end at 8 p.m. The last day of the festival is Sunday, running from 11 a.m. to 7 p.m.